A profile of William Jones, ex-Wiltshire Times employee, researched and written by students at the Clarendon Academy, as part of the government’s First World War Centenary Battlefield Tours Programme. William Jones was born in Potterne in 1887. According to the 1891 census there were eight people living in his house. These included his father Ernest, his mother Elizabeth, his sisters Alice, Gertrude and Florence, and his brothers Fred, Ernest, Henry and Alex. They lived at 155 Crown Place. His father was a tailor. By 1901 Alice and Ernest had moved out of their house but they now also had Egbert, Alfred, Thomas and their grandmother Annie living with them. All twelve people lived at 142 Hilperton Road in Trowbridge. In 1911, William Jones was 25 and working as an “all-round compositor” at the Wiltshire Times. He had recently married his wife Florence Jones aged 21 lived at 1 Hains Lane in Westbury. The census on 2nd April 1911 that showed William and Florence had a baby called William Jones who was less than a month old. Before the war, they moved to London. We think he must have gone to work for a printing firm in the City. 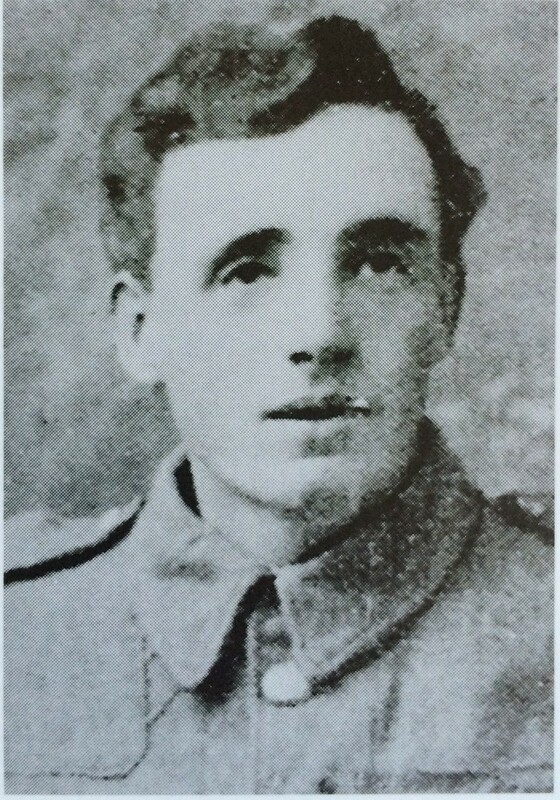 When the First World War broke out he joined the Royal Fusiliers and went away to fight with all the other “Stockbroker” soldiers based in the City of London. 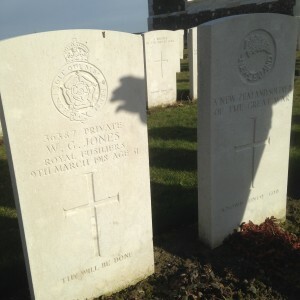 William Jones died at war on 9th March 1918 in Polderhoek Chateau, Belgium. He was killed in action early in the morning. His grave is at Tyne Cot, near Ypres. His death was reported in the Wiltshire Times on 23rd March 1918. His parents were then reported as living in Victoria Road and his wife later remarried. By Sophie Frisby and Phoebe Goulding, The Clarendon Academy. Thanks to Wiltshire & Swindon History Centre and Richard Broadhead’s book: Trowbridge Soldiers.